Shortly before I left for America, I was invited to a food tasting event at Cafe Breeze along with bloggers from the Cebu Blogging Community and Cebu Bloggers Society. 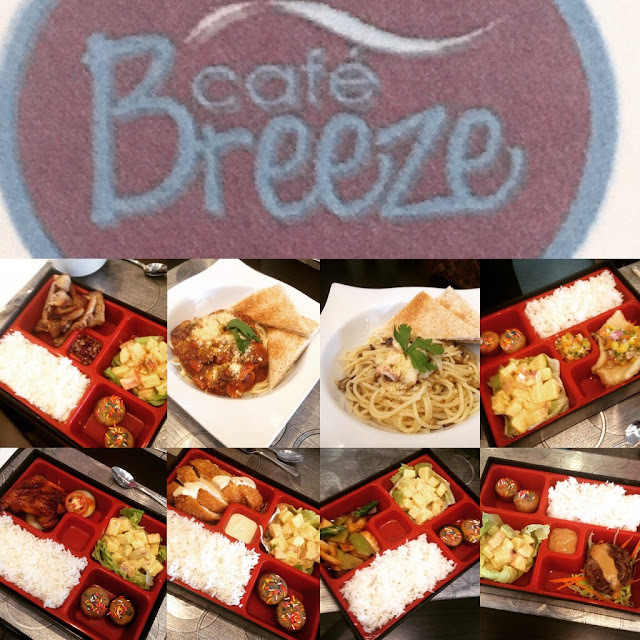 Cafe Breeze is the in-house food and beverage services provider at Bayfront Hotel at Cebu City's North Reclamation Area near SM City Cebu. It is managed by Red Carpet Catering Services. 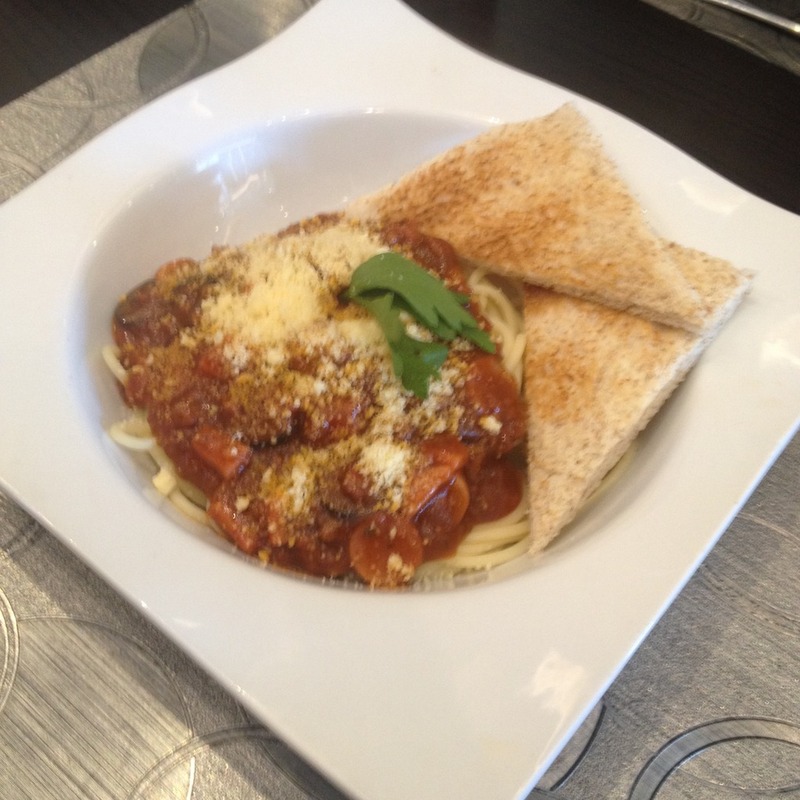 During the event, we sampled the best that the Cafe Breeze a la carte menu has to offer: Spaghetti Bolognese, Aglio Olio, Barbieken, Clubhouse Sandwich, Bury Bury Good Steak, Stewbeef, Spicy Squidly, Chomp Chops, and Rolled and Cordoned. The lunch and dinner sets at Cafe Breeze is served with plain rice, soup of the day, side dish of the day, dessert of the day, and iced tea. During the food tasting event, we were served miso soup, apple salad, and cupcakes. 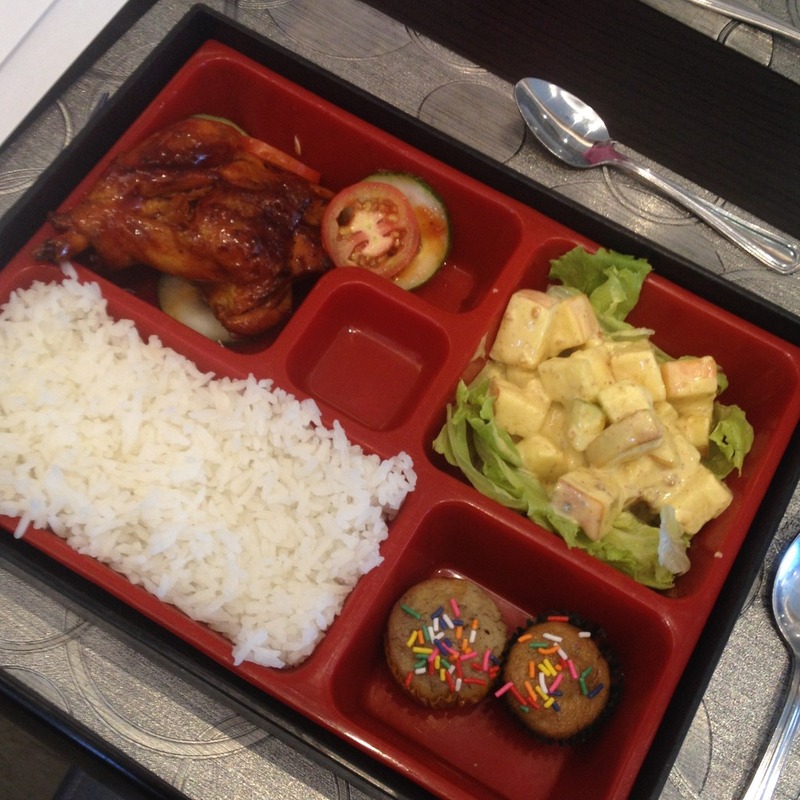 While "Barbieken" can most easily be associated with the popular toy dolls, it is a chicken barbecue meal at Cafe Breeze. This sells for PhP 199 per order. Another chicken dish to try at Cafe Breeze is Dabobo Chicken which is adobo chicken and sells for PhP 199 per order. Bury Bury Good Steak is a Salisbury steak meal. This one was good. I hope they put more gravy on it though. Price is PhP 199 per order. Stewbeef is beef sauteed with stewed tomatoes. I'm not really a fan of stewed beef so no personal judgement here. Cost is PhP 229 per order. Spicy squidly is sauteed squid with minced peppers. It's not really that spicy. You can have this for PhP 209 per order. Fish tango is breaded cream dory fillet served with a tomato mango salsa. 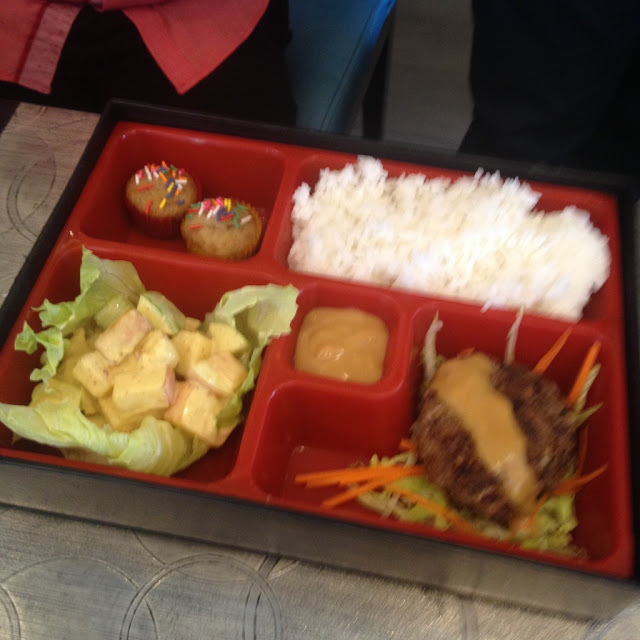 It sells at PhP 209 per order at Cafe Breeze. The other fish dish on the set menu is The Light Catch. It is pan fried fish in lemon butter sauce. The Light Catch sells at PhP 199 per order. 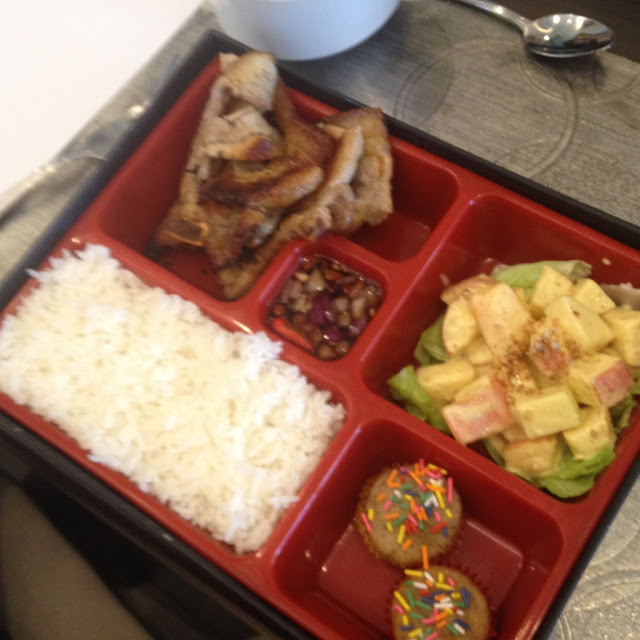 Chomp Chops is pork chop zinggara, or simply grilled pork belly chops, PhP 199 per order. 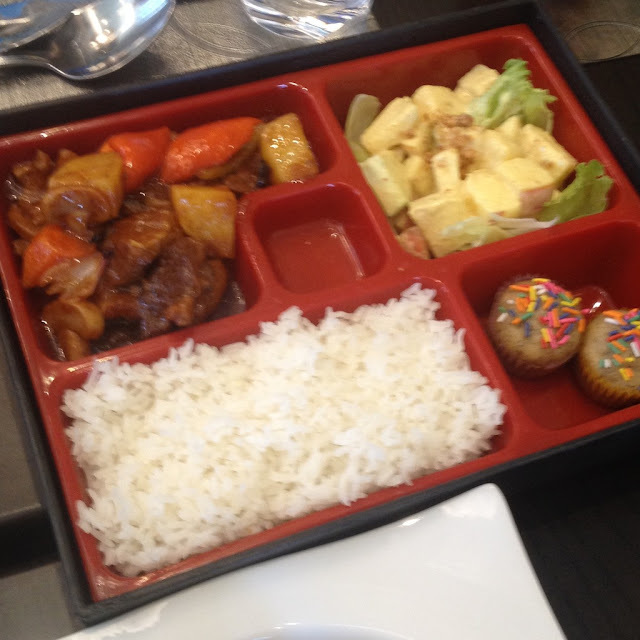 Cafe Breeze also serves So Sweet Yet So Sour, a sweet and sour pork dish that sells at PhP 199 per order. 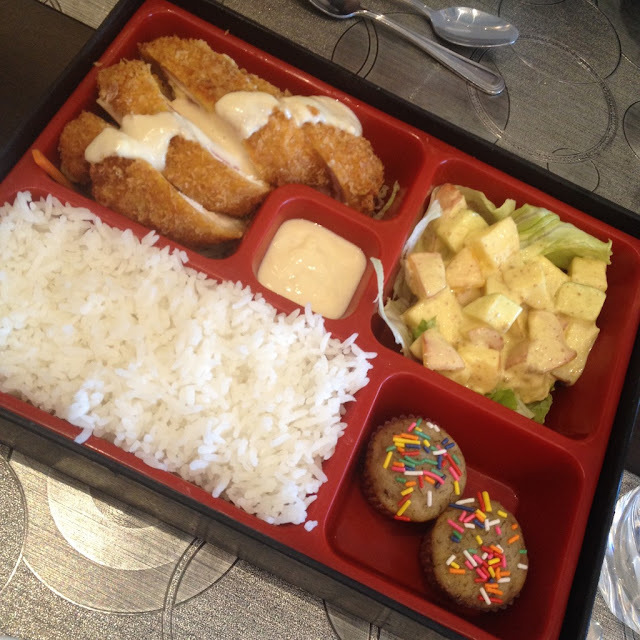 Cafe Breeze's take on the chicken cordon bleu is their Rolled and Cordoned lunch and dinner meal set. 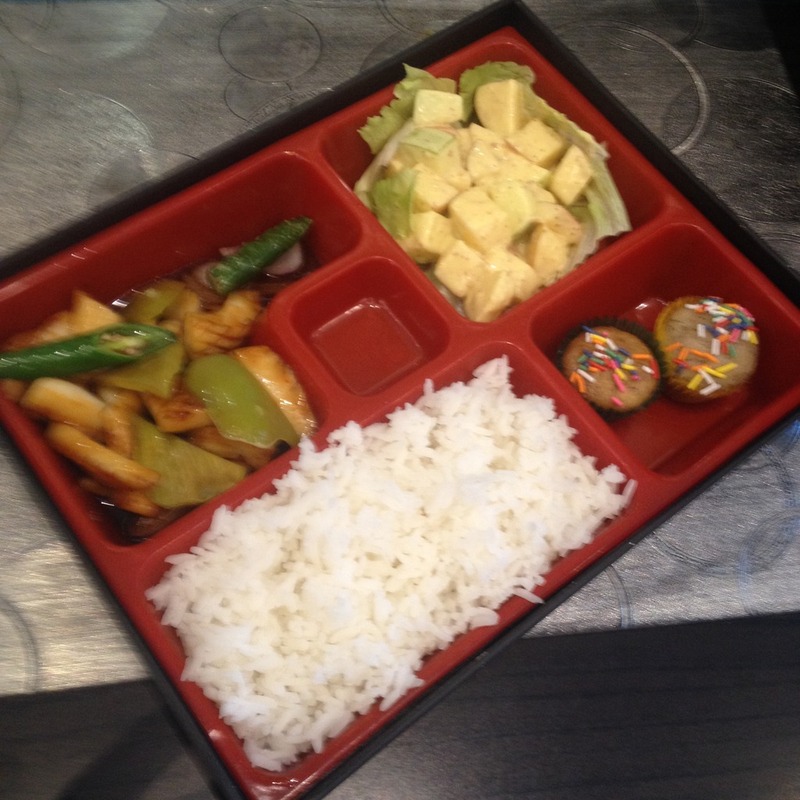 You can enjoy this at PhP 229 per order. This pasta dish originated from Naples, Italy and its main distinction is pressed or minced garlic sauteed in olive oil then tossed with spaghetti. Cafe Breeze's version adds in shrimps, mushrooms, and Parmesan cheese. 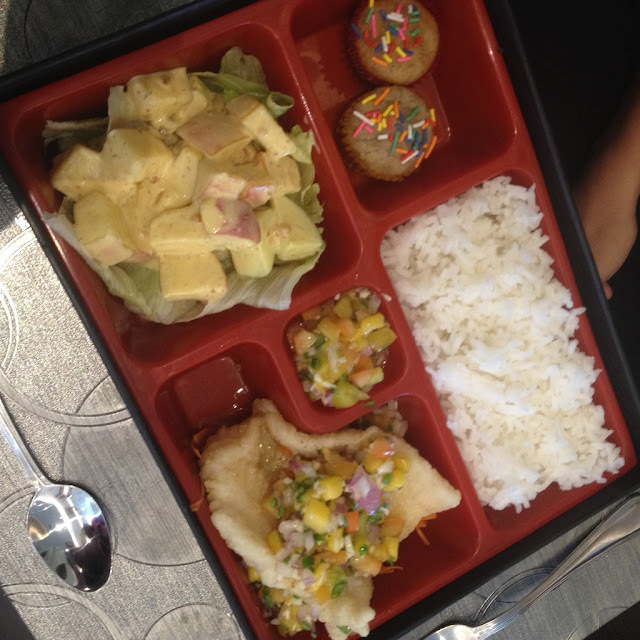 You can have this at PhP 209 per plate. The Spaghetti Bolognese at Cafe Breeze has a rich meaty red sauce characteristic of this pasta variation that originated from Bologna, Italy. You can enjoy this at PhP 209 per plate. 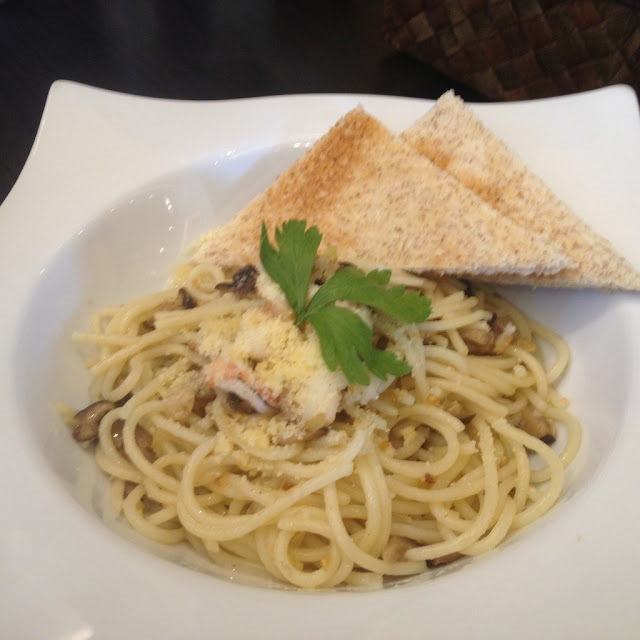 Other pasta dishes at Cafe Breeze are the Pasta Primavera and the Penne Carbonara. Both are selling at PhP 209 per plate. 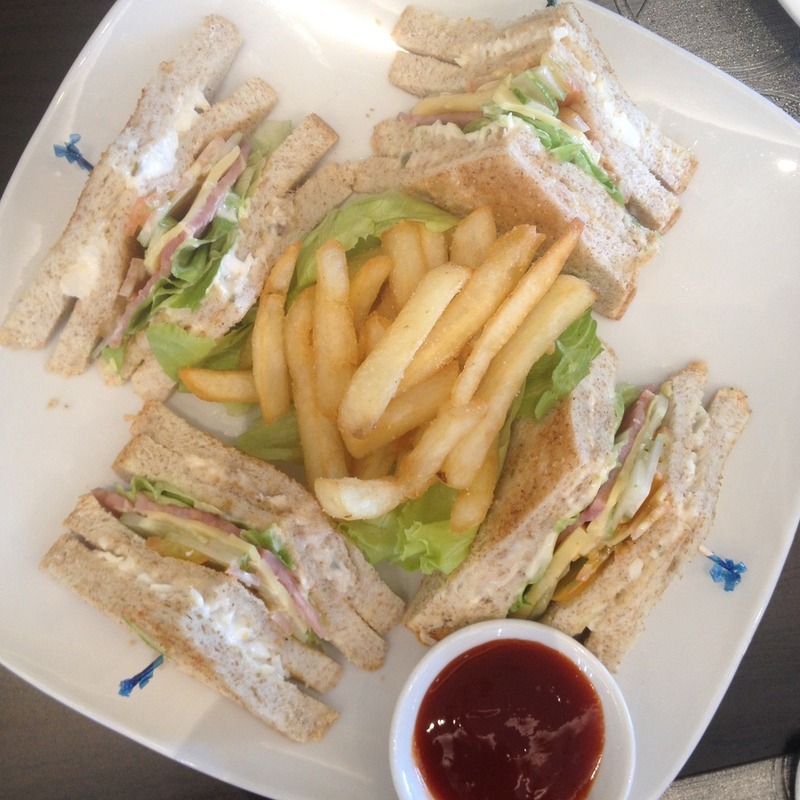 During the food tasting event, we were also served Clubhouse Sandwich which sells at PhP 149 on the menu. A similarly priced sandwich on the menu is Cheeseburger sandwich. Hamburger sandwich sells at PhP 129. Grilled Cheese Sandwich and the Egg Sandwich sells at PhP 99 each. While the Tuna Sandwich, the Chicken Sandwich, and the Grilled Ham and Cheese Sandwich retails at PhP 109 each. Business Hours: Open daily from 6 a.m. to 10 p.m.
Have you tried the a la carte dishes at Cafe Breeze in Cebu City? What is your favorite dish? You may share in the comments below.